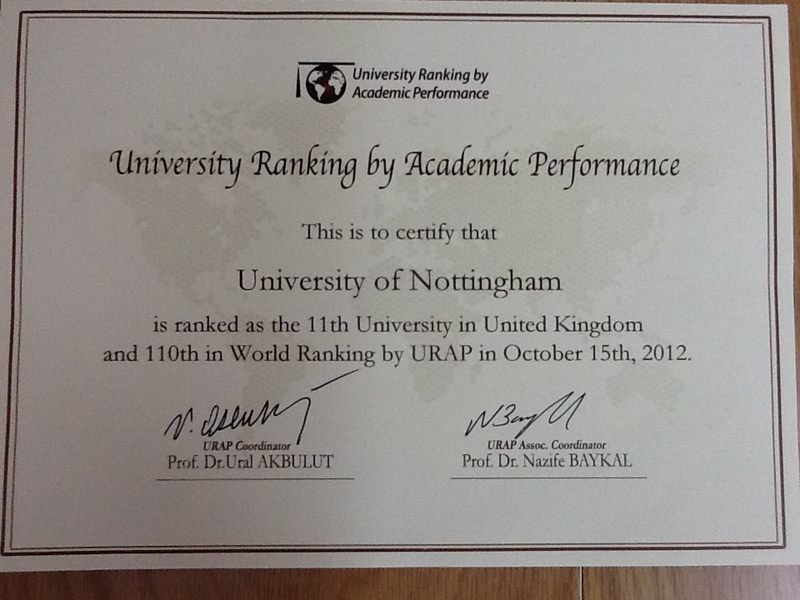 A rather citation heavy ranking from URAP (NB not UKIP). University Ranking by Academic Performance (URAP) Research Laboratory was established at Informatics Institute of Middle East Technical University in 2009. Main objective of URAP is to develop a ranking system for the world universities based on academic performances which determined by quality and quantity of scholarly publications. In line with this objective yearly World Ranking of 2000 Higher Education Institutions have been released since 2010. URAP ranking system is completely based on objective data obtained from reliable open sources. The system ranks the universities according to multiple criteria. Most of the currently available ranking systems are both size and subject dependent. The URAP research team is currently working on a new methodology which will minimize the impact of size and subject dependency. The goal of the URAP ranking system is not to label world universities as best or worst. Our intention is to help universities identify potential areas of progress with respect to specific academic performance indicators. Similar to other ranking systems, the URAP system is neither exhaustive nor definitive, and is open to new ideas and improvements. The current ranking system will be continuously upgraded based on our ongoing research and the constructive feedback of our colleagues. A certificate! for the whole University! I’m sure other rankings will be following suit. This entry was posted in Education, HE, international, League Table, ranking, research, University and tagged citations, HE, international, League Table, ranking, Turkey, universities, URAP by Paul. Bookmark the permalink.